The Sacramento Bee editorial board had tough words for Sen. Kamala Harris (D., Calif.) in the aftermath of her announced presidential run, saying she faces difficult questions about her past in law enforcement and comparing her to President Donald Trump at one point. Harris joined the growing list of 2020 Democratic contenders on Monday, saying she was running "for the people" and touting her ability to "fight for the best of who we are." She would become both the first woman and first woman of color to become president if elected. 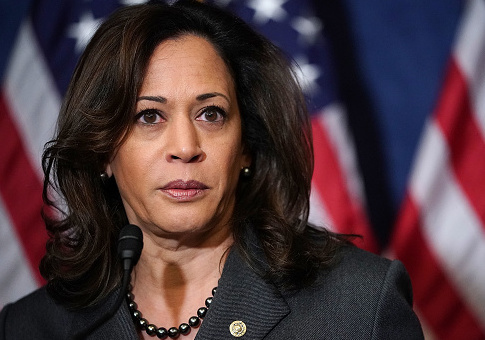 The Bee previously criticized Harris for claiming to have no knowledge of her top aide Larry Wallace being hit with a harassment lawsuit while she was California's attorney general. Harris fired Wallace when the lawsuit became public, but the paper said her excuse for not knowing about the scandal was flimsy. "She fired him once the Bee started asking questions, claiming she had no knowledge of his troubles. That may be true — but the idea that California’s top legal officer was clueless about the goings-on in her own inner circle is also disturbing. Isn’t that Donald Trump’s excuse?" the board wrote Monday. "Harris’ account also leaves out a number of more controversial episodes from her career in California, where advocates for criminal justice reform say her office was part of the problem, not the solution," wrote Cadei. For instance, in 2010 a Superior Court judge in San Francisco ruled Harris’ DA office violated the constitutional rights of defendants in drug cases where a police drug lab technician, Deborah Madden, "systematically mishandled" evidence. The scandal eventually led to the dismissal of hundreds of drug cases. The judge in the case wrote that prosecutors "at the highest levels of the district attorney’s office knew that Madden was not a dependable witness at trial and that there were serious concerns regarding the crime lab." A Los Angeles professor wrote an op-ed for the New York Times saying Harris, contrary to how she portrays herself, was not a "progressive prosecutor," but rather someone who stayed silent rather than embrace criminal justice reform in her influential position. "It says she ducked out of crucial debates over sentencing reform and that her office pressed for harsh punishment in cases that merited leniency," the Bee editorial board wrote. "Of course, no one should underestimate Kamala Harris," it added. "She may well be the next president of the United States. To get there, however, she’ll have to answer tough questions about her past and prove she’s really who she says she is."